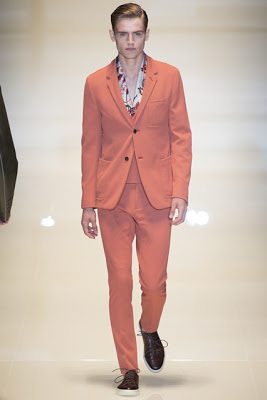 I was very pleased and happy when I saw the pictures of Gucci's Menswear SS14. Altough I didn't like every silhouette they had put together, there was one element that returned in almost every look, and that was: flowers. Ever since the flower prints showed up in the collections for women about a year ago, I knew menswear would follow soon. 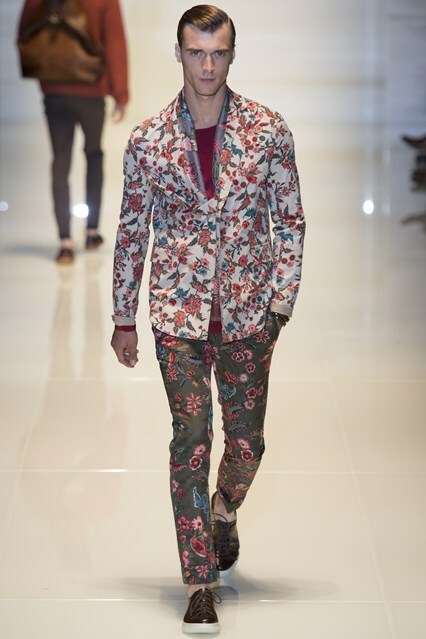 Flower prints (and every other print you could think of) have slowly but surely been smuggled into the men's collections, and now, the designers go all the way. Print on print, different colors, all-over-prints or just little details, name it and Gucci's collection for next summer has it. As I said before, I do not like every silhouette, some of the colors are, in my opinion, a little too winter-ish, if you know what I mean, but generally, I very much like this collection. Watch these pictures I selected and judge yourself! but I like the t-shirt's print! 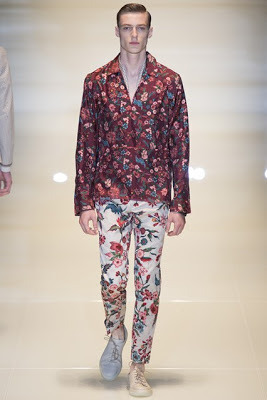 Flower prints really are everywhere if it's Gucci's choice! What do you think? 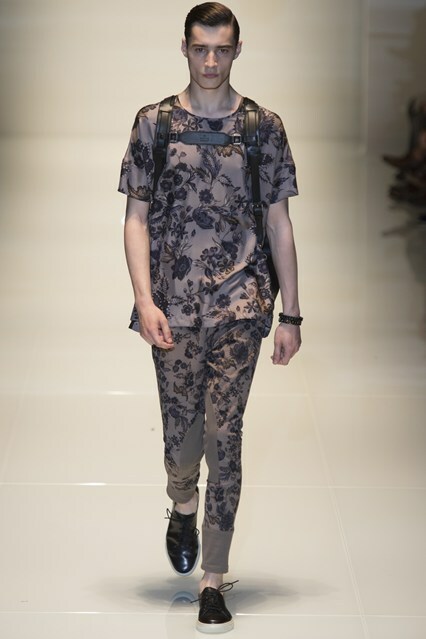 Are you into flower prints all over? 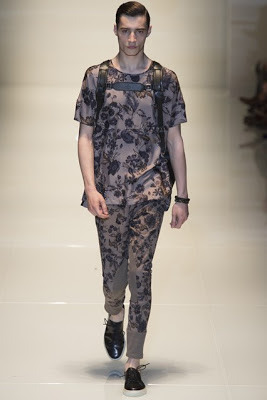 Do you think men can wear this?